Winners of the 10 Million Dollar Bigfoot Bounty show, Stacy Brown and David Lauer, will be hosting a free Bigfoot Expedition! 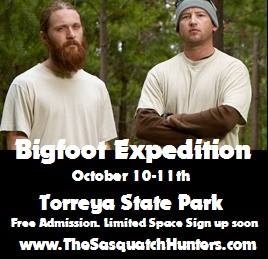 This is set to take place October 11-12 in Torreya State Park, Florida. Although it is free, spots are limited, so be sure to sign up soon. You can contact them through their website or Facebook page to register.